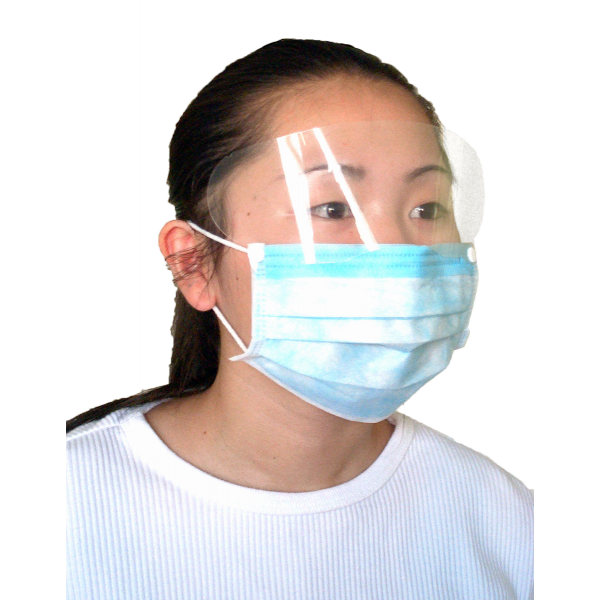 Our face mask with shield is simply our popular earloop surgical mask with an attached fog-resistant shield. Face mask is 3-ply, with 2 nonwoven outer layers and a highly absorbent inner layer. Integral metal band can be bent to conform to facial contours. Face mask is medical quality, with a bacterial filtration efficiency (BFE) rating of 99%+. Face mask and earloops are latex- and fiberglass-free. Shield is constructed of clear plastic and offers protection from splashes. Box of 25 face masks with shield.